A judge says Washington state improperly denied a sublease request, a ruling that now gives the proposed Longview coal-export terminal a boost. 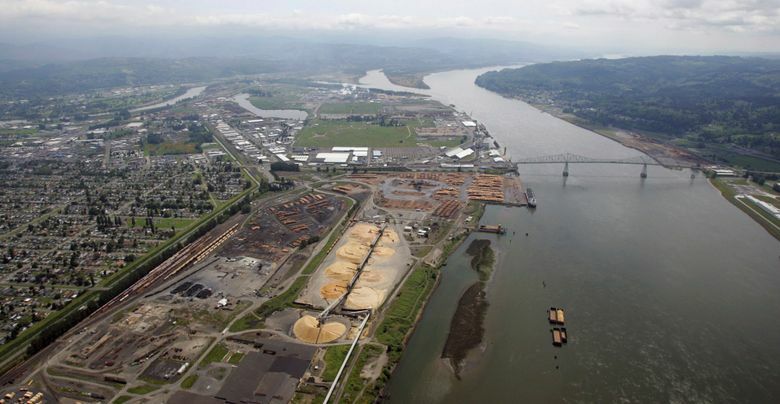 Developers of a proposed coal-export terminal in Longview got a boost Friday from a Cowlitz County judge who ruled in their favor in a legal battle with Washington state. Superior Court Judge Stephen Warning ruled that the Department of Natural Resources (DNR) improperly denied a tidelands sublease to operate docks at the facility along the Columbia River. That sublease was denied last January by outgoing Public Lands Commissioner Peter Goldmark, who found that the developer — Millennium Bulk Terminals — failed to provide enough financial information and details of how the sublease would be structured. The judge’s ruling requires DNR to reconsider the lease, according to a spokesman for Millennium and lawyer representing environmental groups. Kristen Boyles, an Earthjustice attorney who was in the courtroom, noted that while the lease is to be reconsidered, it is not granted. The decision comes as Millennium is embroiled in a broader struggle with the state to move forward with a $680 million export terminal that would ship western coal to Asia. Environmentalists have been campaigning for years to prevent Washington from emerging as a major export hub for coal. They have pressed the state to deny permission for the terminal, which would handle up to 44 million tons of coal arriving by train from western mines. Last month the state Department of Ecology denied a water-quality permit, and Millennium Bulk Terminals is challenging that both in an appeal and a separate lawsuit filed this week. Millennium officials have said that some state regulatory agencies have invented rules and been biased against the terminal that they contend could benefit Seattle by reducing the number of coal trains headed north through the Puget Sound area for export from British Columbia. “If Washington wants to remain a leader in world trade, it is critically important that the laws be applied by regulatory agencies fairly and that trade projects be judged based on their compliance with existing rules of law,” said Wendy Hutchinson, a Millennium vice president. She said, in a written statement, that putting 50 football fields of coal between the Columbia River and a low-income Longview neighborhood remains a bad idea.